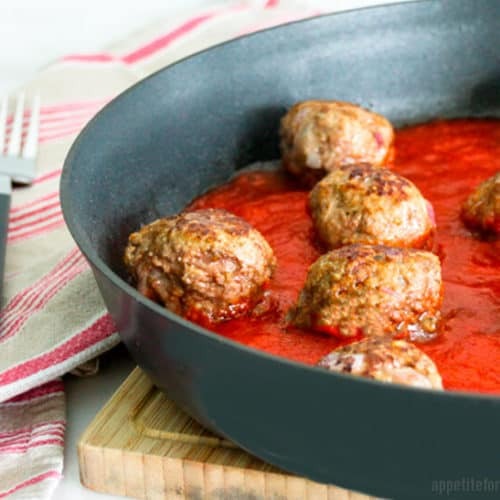 You won’t believe you can make these tender and juicy meatballs, drizzled with full-flavored marinara sauce in just 30-minutes. 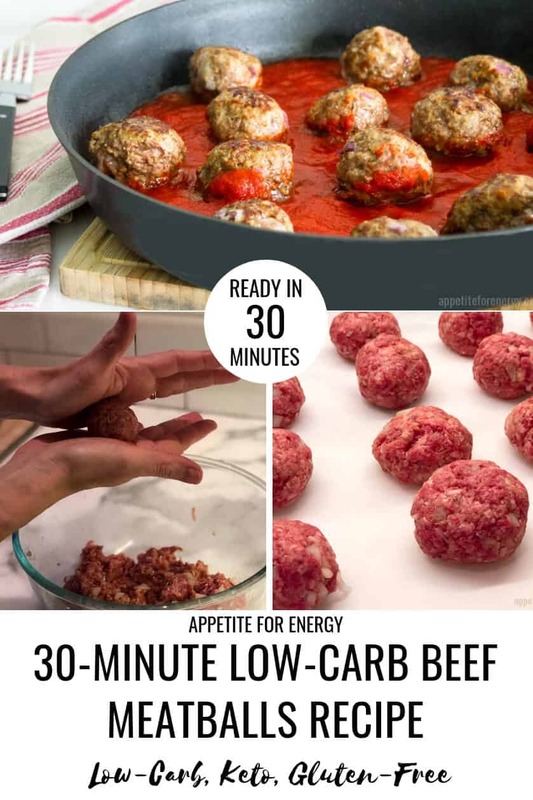 This low-carb beef meatballs recipe will be your best-kept secret! 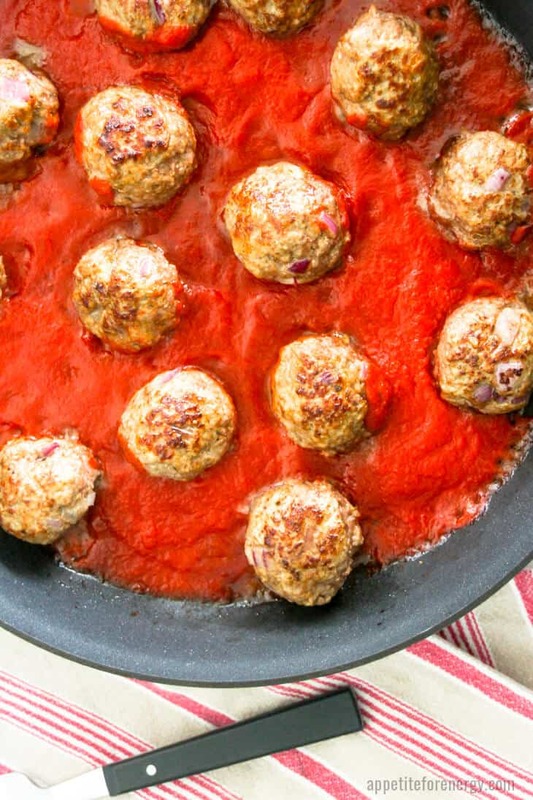 Yes, you can make this Low-Carb Beef Meatballs recipe in just 30-minutes. The almond meal and parmesan keep the meatballs super tender and juicy. 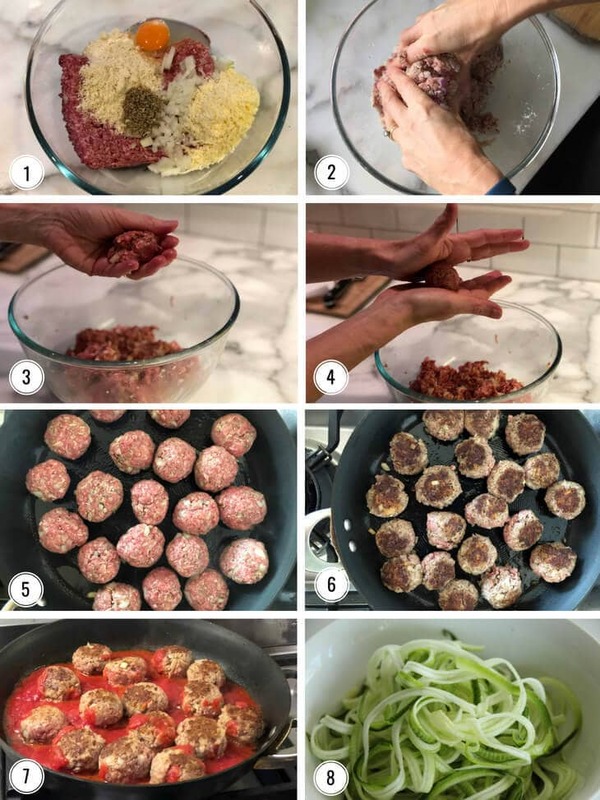 If you are following a keto (ketogenic), low-carb or gluten-free diet, then these super tasty meatballs tick all the boxes. Serve the meatballs with a full-flavored marinara on top of a bed of zucchini noodles for the perfect low-carb, satisfying meal. Meatballs are a real crowd-pleaser in our family. Everyone is kept happy with spaghetti for the kids and husband and zucchini noodles or coleslaw for me. This version takes about 30 minutes to cook and uses one pan. Here’s to quick meals with minimal cleaning up! Zucchini noodles or zoodles work perfectly as a pasta replacement – scroll down to watch the video on how to make them below (or below). It only takes just over a minute to spiralize one zucchini with the microplane spiral slicer. It’s a simple gadget that you can get for less than $15. Cook up some spaghetti for the kids while the meatballs are in the oven and make the zoodles. You can cook the zoodles but I don’t find it necessary for this dish. Look for a marinara pasta sauce (or passata) that is less than 5g of net carbs per 100g. Some pasta sauces have a lot of sugar so look out for a good brand and stock up. Try Victoria Marinara Sauce, Organico Bello’s organic pasta sauce or Rao’s Homemade Marinara Sauce. This passata (tomato puree) is widely available around the world (USA, Europe, Australia). The ingredients are tomatoes and salt only. We’d love to know if you find a good low-carb pasta sauce, so please share in the comments! No ovenproof skillet? Continue to cook the meatballs on the stove, covered, until cooked through. Alternatively, you could bake them in the oven for 20-25 minutes. Leftover cooked beef meatballs? They’ll stay good in the fridge for up to 5 days or in the freezer for up to 1 month. Can’t find a low-carb marinara or pasta sauce? This recipe would also be delicious with a homemade pesto sauce. Just toss the zucchini noodles in the pesto and top with the meatballs. Try our delicious Broccoli Pesto Sauce. Dairy-free? If you can’t have dairy, feel free to omit the Parmesan and season with more salt and pepper. Substitutes for beef? You can substitute ground chicken or ground turkey for the beef. Nut free? If you have a nut allergy, you can omit the almond flour. This will result in a less tender meatball, but it will still taste delicious! Feeding carb eaters? Serve with spaghetti or other pasta. Cook pasta while beef meatballs are baking in the oven. Not a fan of zucchini noodles? Serve meatballs over a bed of baby spinach and/or coleslaw mix (choose one with mostly cabbage). 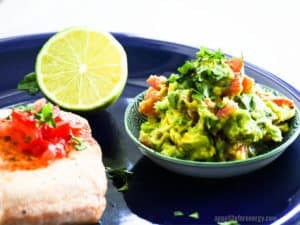 Add half an avocado, 8-10 olives, a drizzle of the cooked pasta sauce and some parmesan cheese. Heaven! 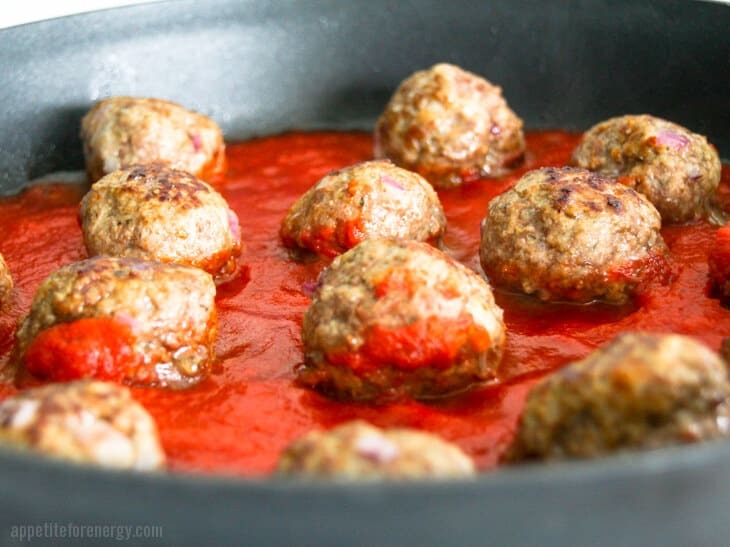 HOW DO I KEEP MY MEATBALLS FROM FALLING APART? It’s important to have ingredients that help bind the meatballs together. This is usually a combination of eggs and breadcrumbs, which helps hold the meat together and make them more tender. 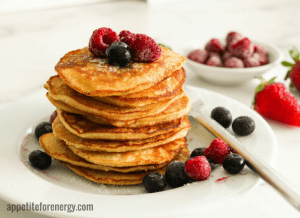 We use eggs and almond flour to keep it gluten-free and low-carb. CAN YOU COOK THE MEATBALLS IN THE SAUCE? Yes! In this recipe, you will simmer the meatballs in the marinara sauce and then bake them in the oven. Simmering the meatballs in the sauce keeps them nice and moist and infuses them with more flavor. HOW DO I MAKE ZUCCHINI NOODLES (ZOODLES)? All you need is a spiralizing tool like the one I use in the video below for around $15 or one like this. If you don’t have one, you can also use a vegetable peeler to create thicker noodles. WATCH THE VIDEO BELOW ON HOW TO MAKE ZUCCHINI NOODLES IN 2 MINUTES! 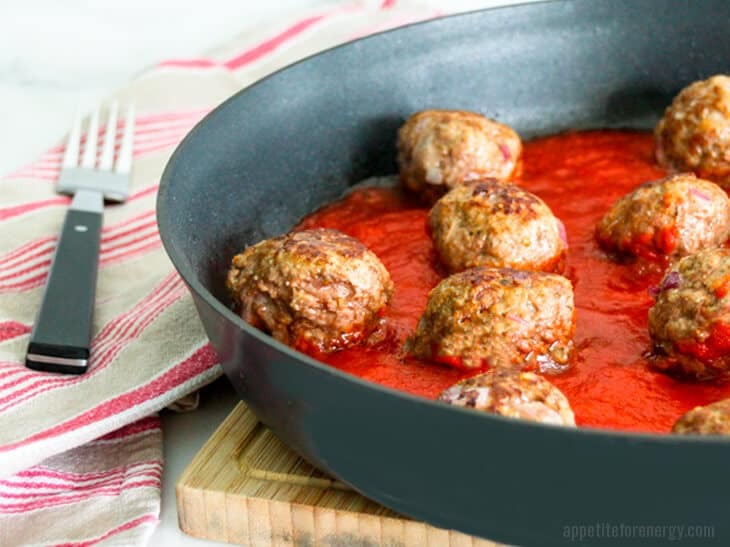 You won't believe that you can make these tender and juicy Low-Carb Meatballs in just 30-minutes. Drizzled with full-flavored marinara sauce, they will become your best-kept secret! Preheat oven to 355F (180c ) and heat a large oven-proof fry-pan to medium-high heat. Pan-fry meatballs in olive oil for 4 minutes moving the pan around in a circular motion constantly so the meatballs roll and brown all over. Add low-carb pasta sauce to the pan (passata, marinara with less than 5g net carbs per 100g) and bring to a simmer. Take fry-pan and place in the oven to bake meatballs for 10- 12 minutes. Be sure to use an ovenproof fry-pan*. While meatballs are baking, prepare zoodles using a spiralizer or peeler. Cook spaghetti if needed. Serve meatballs and sauce over the zoodles or pasta. Grate some Parmesan cheese over the top. *Note: if you don't have an oven-proof fry-pan, continue to cook the meatballs on the stove-top until cooked through. Use a fry-pan lid if you have one. This post was originally published in March of 2017, but was republished with step by step instructions and tips in August 2018.